The recent Global Adult Tobacco Survey 2 (GATS2) released by Ministry of Health and Family Welfare (MoHFW) reveals 62.9% among men and 32.9% of women and 48.2% of all adults in Assam either consume smoke tobacco or smokeless tobacco. Assam has shown a significant rise in tobacco consumption from 39.3% in the last survey held in 2009-10 to 48.2% in the recent survey. However, an over- all reduction in tobacco consumption at national level has been noted in the survey. In Assam, 25.3% of men, 0.8% of women and 13.3% of all adults currently smoke tobacco. 50.5% of men and 32.5% of women and 41.7% of all adults currently use smokeless tobacco. Khaini and Betel quid with tobacco are the most commonly used tobacco products. 23.1% of the adults used khaini and 19.0% used betel quid with tobacco. The mean age at initiation of tobacco use has increased from 18.1 years in GATS 1 to 18.5 years in GATS 2. Consumer VOICE, New Delhi along with Consumers Legal Protection Forum, Assam initiated several tobacco related intervention programmes in Assam focussed primarily on youth and children, to sensitize different stakeholders and spreading awareness towards reducing the consumption of tobacco. “The rise in number of tobacco users especially smokeless is a cause of worry because it is easily accessible to children and youth. We are working in the state through our programmes to protect the public, especially youth and children from exposure to tobacco use.” Ashim Sanyal, Chief Operating Officer, Consumer VOICE said. “The ascent in tobacco consumption in Assam is an indicator that government needs to strengthen tobacco control efforts and people need more awareness on the health and financial burden that tobacco use brings with it,” advocate Ajoy Hazarika, secretary of Consumer Legal Protection Forum said. 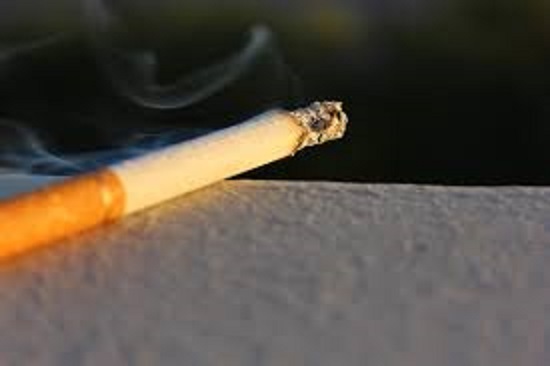 “We will continue our efforts to protect people from the hazards of tobacco use,” he added.